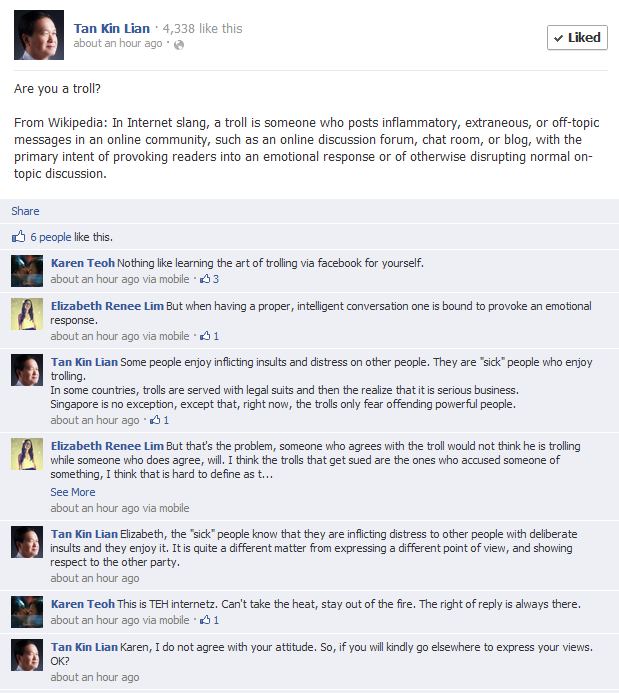 I quote Tan Kin Lian definition on troll from his Facebook post. From Wikipedia: In Internet slang, a troll is someone who posts inflammatory, extraneous, or off-topic messages in an online community, such as an online discussion forum, chat room, or blog, with the primary intent of provoking readers into an emotional response or of otherwise disrupting normal on-topic discussion. 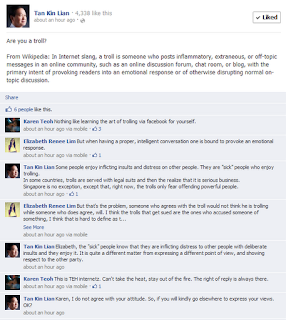 And Tan's indirect way of crafting how to describe a behavior without directing it at any specific person. Plus how he handle a troll - delete and block.